The veterinarians at our Armadale clinic use animal x-rays and diagnostic equipment for instant diagnosis of internal problems and injuries. Animals can’t describe pain, discomfort, and feelings to us, so the use of animal x-rays is crucial to facilitate accurate treatment. Railway Avenue Veterinary Hospital has a full suite of specialist equipment to ensure our lab services are of the highest possible standard. Radiography in domestic pets tends to be a little more complicated than that of humans. As we are unable to tell our animal patients to stay in specific positions, heavy sedation or a general anaesthetic is usually required. We have a modern radiography facility with a digital x-ray developing system that allows us to take high quality and professional animal x-rays and get the results through immediately. This reduces the waiting time and, therefore, the time your pet is under sedation, and allows us to make an informed and fully qualified diagnosis of your pet. At Railway Avenue Veterinary Hospital in Armadale, we use ultrasound as an additional diagnostic tool to aid us in our diagnosis of your pet. Many pet owners may not be aware that we have a fully equipped diagnostic laboratory on-site in Armadale, allowing us to do all essential blood tests quickly and to a high standard. We use the same type of equipment as that of most advanced human medical laboratories. 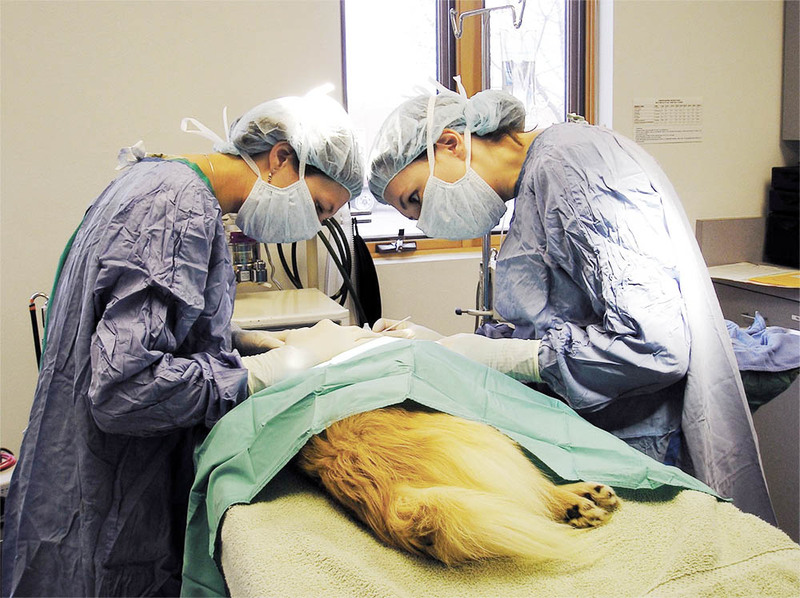 Having our facility on-site provides many advantages for the care of your pets. For example, we can now routinely offer a quick pre-anaesthetic blood screen to make certain that it will be safe to anaesthetise your pet. This is particularly important as pets get older and often enables us to detect problems before they would otherwise be apparent and before it is too late. Sometimes this means we need to use a different anaesthetic technique for maximum safety and occasionally will mean we decide not to give an anaesthetic at all. We are also able to offer wellness testing. This involves doing a routine profile on an otherwise healthy pet, giving us baseline readings to allow much earlier diagnosis and treatment, or early implementation of a preventative health program. Our on-site facility allows us to monitor patients regularly that are suffering diabetes, kidney disease and many other ailments, with the result that treatment can be more accurate and effective. Most importantly, animal x-rays and blood testing allows us to make a rapid diagnosis so that we can provide the best care for your pets.